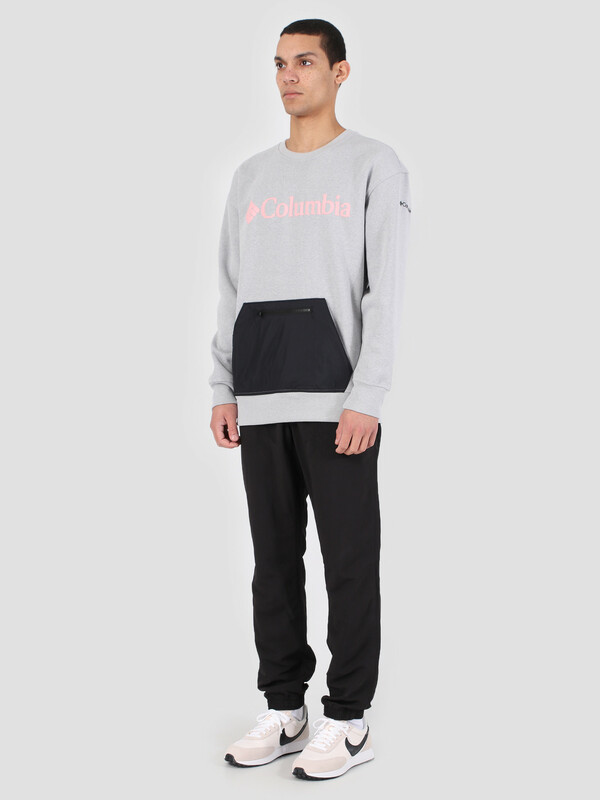 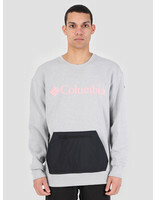 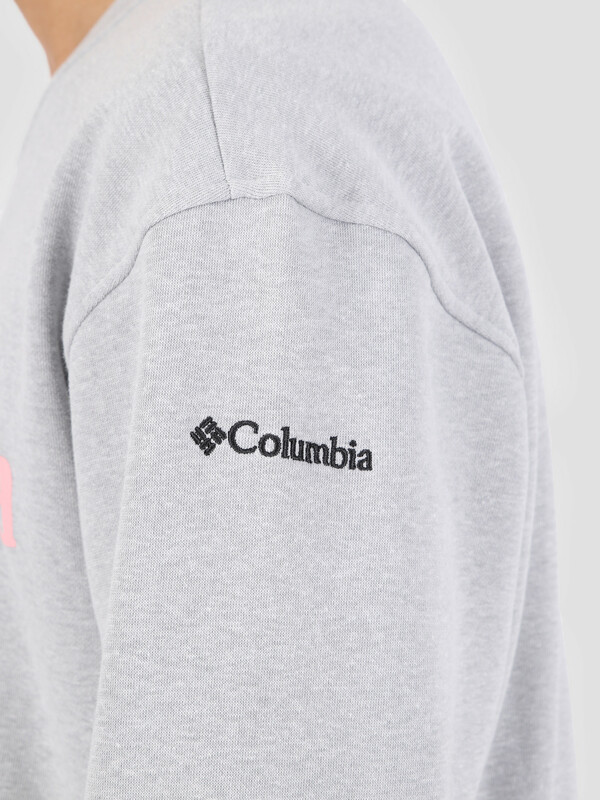 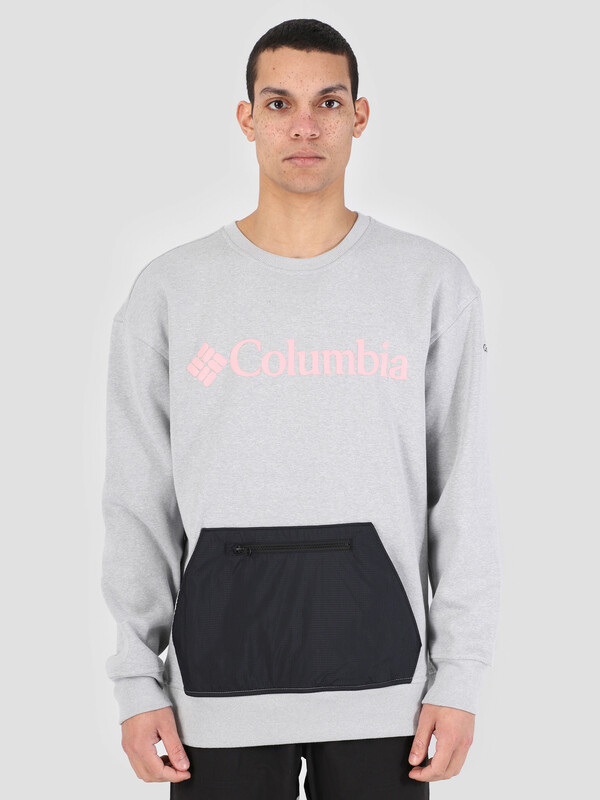 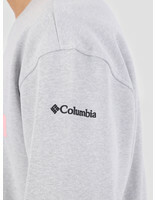 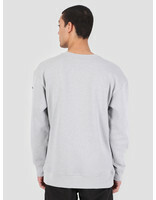 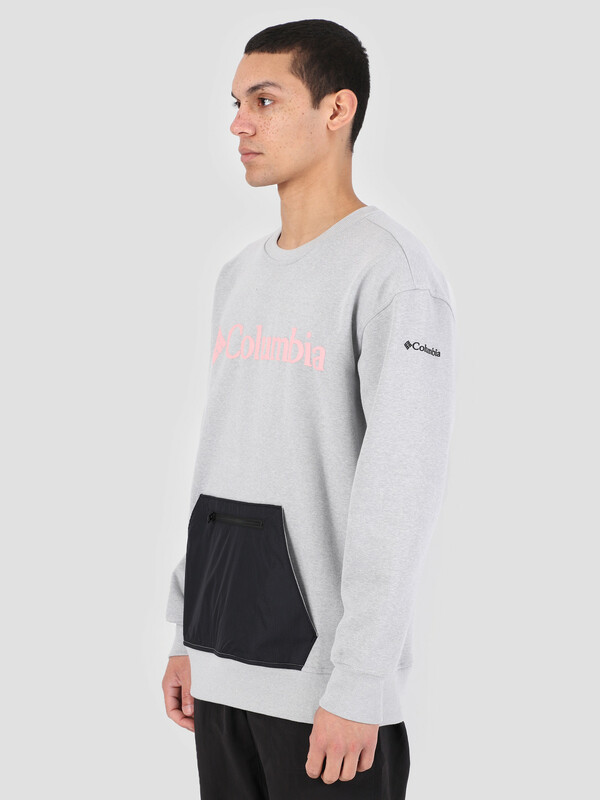 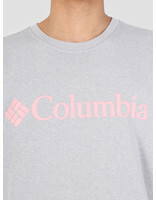 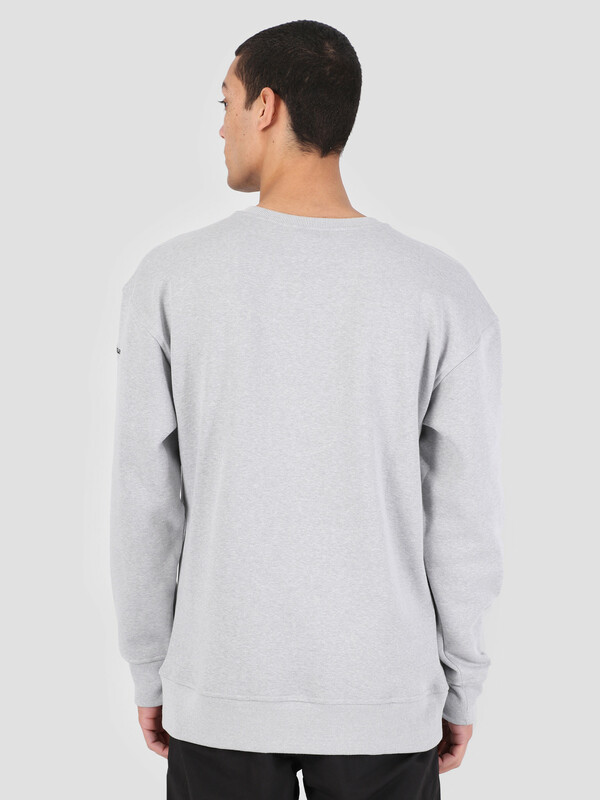 The Columbia Fremont Crew Grey H is a grey pullover with a nylon front pouch. 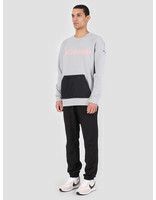 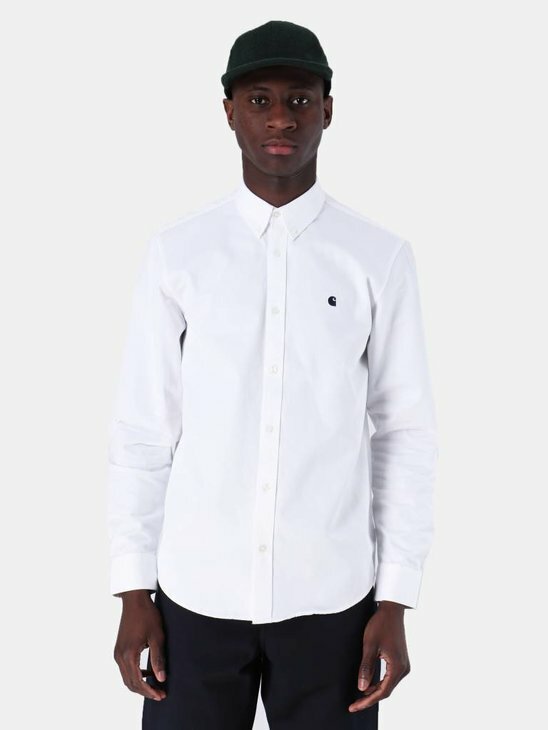 The branding can be found in pink across the chest and embroidered in black on the left sleeve. 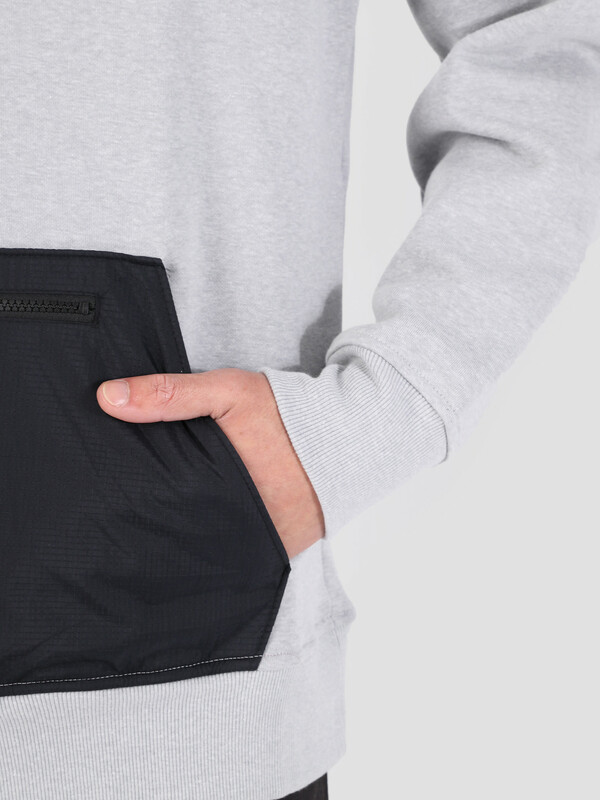 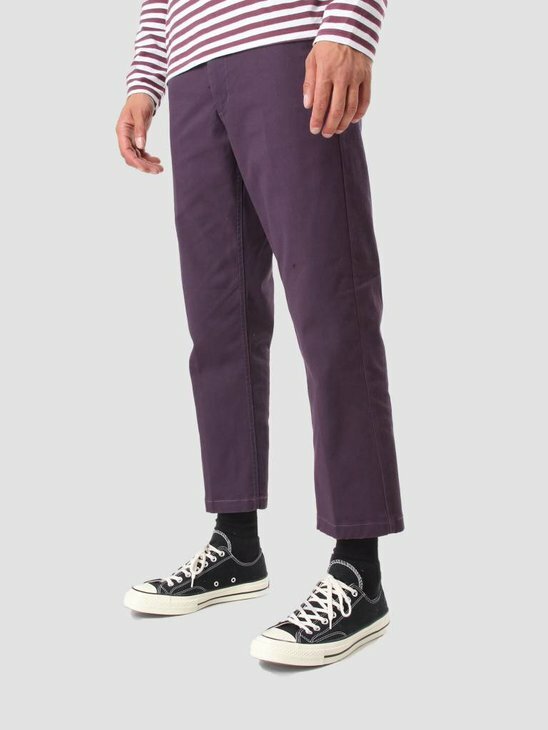 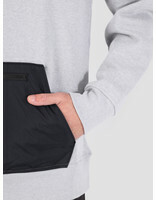 The nylon front pouch has two pocket holes at the sides and one separate zipper pocket in the middle. 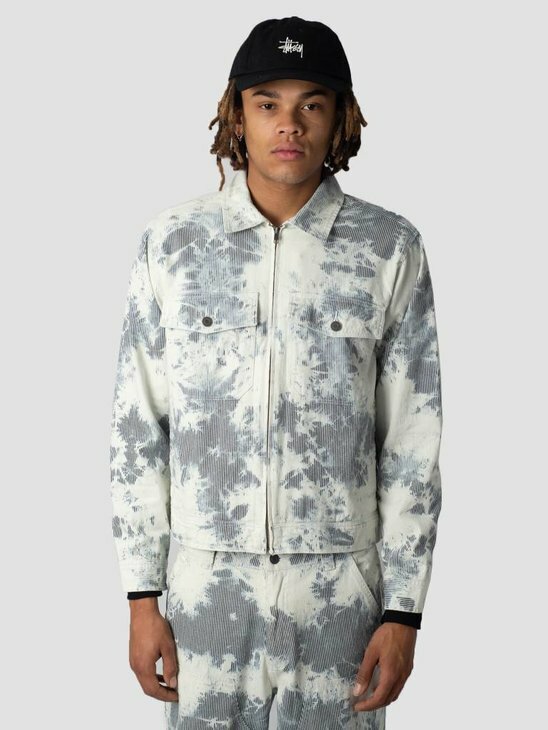 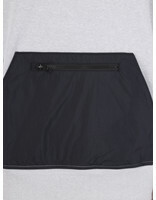 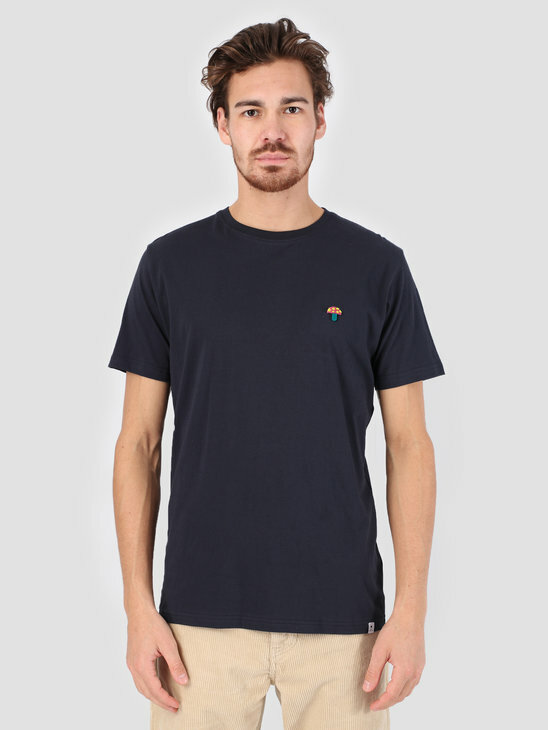 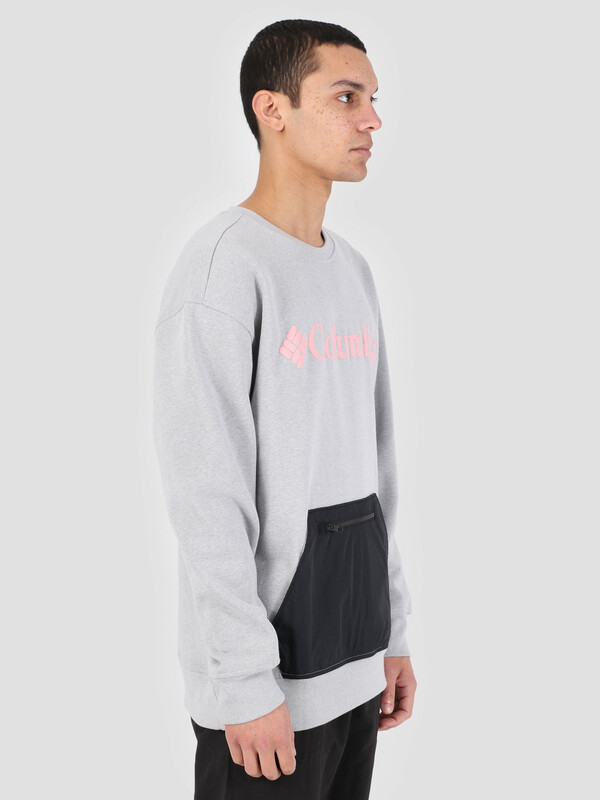 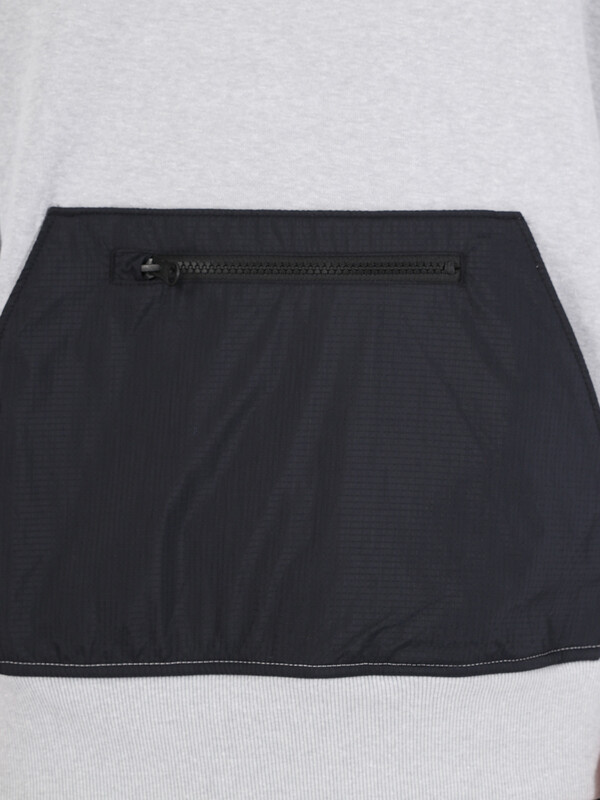 The pullover has a regular fit and the material is made out of 80% cotton and 20% polyester, the pouch is made out of 100% nylon.